Pro Wrestling Desecrated: Issue 10! - WrestleCrap - The Very Worst of Pro Wrestling! 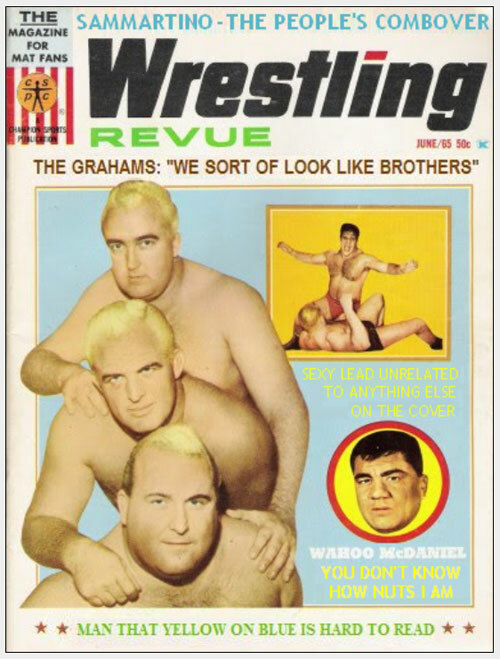 Pro Wrestling Desecrated: Issue 11! 3 Responses to "Pro Wrestling Desecrated: Issue 10!" The line on the bottom says exactly what I was about to say out loud to myself. I laughed hard. Now that Bruno’s in the WWE HOF and kissed and made up with Vince, any chance of a “People’s Combover” and “People’s Eyebrow” teaming up?